From hectic training and game schedules to balancing school and social lives, young athletes have enough to contend with before injury even enters the equation. 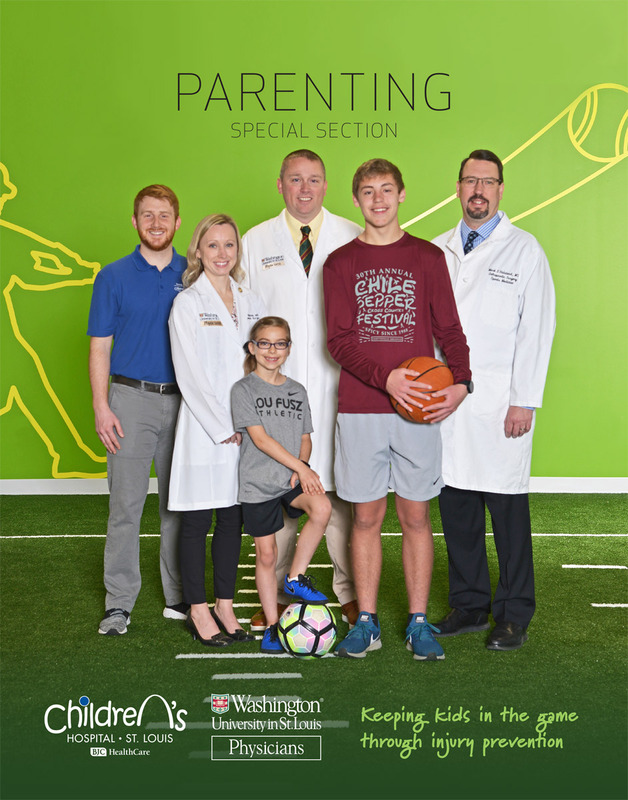 The Washington University and St. Louis Children’s Young Athlete Center is dedicated to getting kids and adolescents who get hurt back on the field (or court) quickly and safely. Located in the St. Louis Children’s Hospital Specialty Care Center in Town & Country, the orthopedic and sports medicine team provides comprehensive care. “Athletic injuries seem to be more and more common since kids start participating in sports at younger ages,” notes the center’s director, Dr. Jeffrey Nepple. The new facility has been open for a year, and Nepple says it offers everything injured athletes need to return to their sports, including same-day appointments, concussion assessments, casting and splinting services, MRI, minimally invasive surgical treatment and physical therapy. 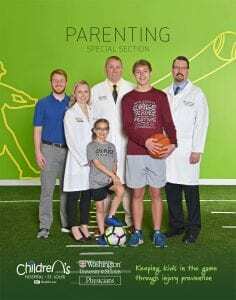 “Patients have access to experts in a wide range of fields, and younger athletes are taken care of by providers with a background in pediatrics,” Nepple adds. Doctors and other experts at the center treat both the physical and mental components of injury. “Traditionally, the psychological aspects have been ignored, but an injury can impact an athlete’s life dramatically, from social interactions to fear of reinjury,” Nepple says. “Our team of sports psychologists works with kids to address these issues so they can start playing again with a positive mindset.” To help with physical recovery, the center has several sports-specific environments for training, including a turf field, baseball pitching mound and basketball court. The center also is dedicated to reducing sports-related injuries. “It’s important for kids and their parents to understand common injuries for any sport as well as prevention strategies,” Nepple says. Many common issues are avoidable, such as injuries related to overuse, which account for about half the cases at the center, according to Nepple. He adds that ACL tears also are preventable in most circumstances since they often are a consequence of an athlete moving incorrectly and not the result of a collision. To help prevent these injuries, St. Louis Children’s Hospital researchers are working to better understand the movements of young athletes. The Town & Country facility is outfitted for wireless motion analysis. Sensors can be applied to different parts of patients’ bodies to monitor their range of motion. “We can identify poor movement patterns and hopefully, change them,” Nepple says. 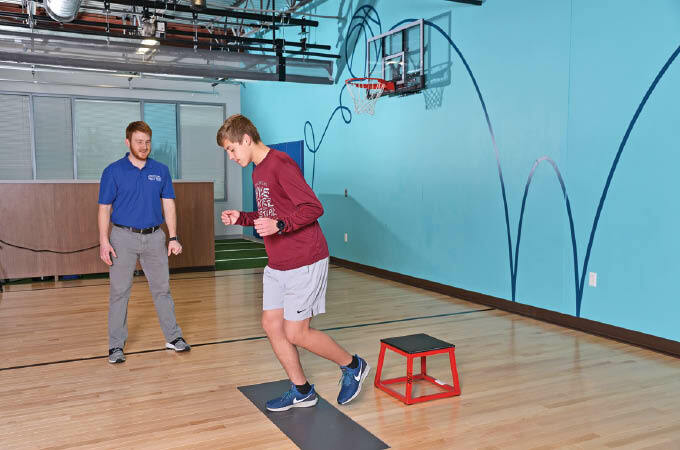 Located in the St. Louis Children’s Hospital Specialty Care Center in Town & Country, the Young Athlete Center is dedicated to caring for kids of all ages with sports-related injuries. Pictured on the cover: Athletic Trainer Tom McGowan, Dr. Terra Blatnik, Dr. Jeffery Nepple, Dr. Mark Halstead. For more information, call 314.454.5437 or visit stlouischildrens.org or stlyac@wustl.edu. Pictured at top: The Young Athlete Center offers comprehensive care to help kids of all ages return to their sports.